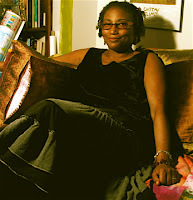 Michele Wallace: New York-born feminist, author, cultural critic, professor of English at City College and the CUNY graduate center. "College is a major agent of dissemination for feminist ideas. When I was a teenager, I saw a lot of activity in terms of feminism with my mother [artist Faith Ringgold] and activists in New York, but if it had not been backed up by one of the first women's studies programs here in City College, I don't know what it would have meant for me. I got to read women writers and also just see the struggle of the women faculty through this program. [Feminism] was always reinforced by school...and outside of New York, the academic part of it was even more important." 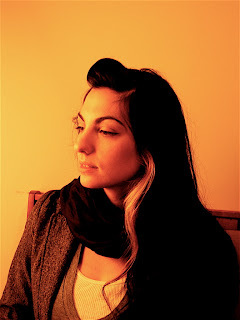 Sharyn: 28, native of Sheepshead Bay, Brooklyn, bartender, graphic design student, former punk. Isn't sure what feminism means, "but do I support women's rights, do I feel empowered? Definitely." "I come from a really traditional family...my mother's family is from Israel and my father's side, they're all Moroccan. Since I was a child, it has been banged into my head that I am to speak quietly and not have too many strong opinions and what I should be really good at is learning how to clean the house and cook food and raise children...When I was little, and kids would go and play in the park, I wasn't allowed to go, [my family] wanted me to stay home and mop the floors. I was the first one of my family born in the United States, and I remember thinking like, 'That's cool for you guys, but I'm American and I can do whatever I want.' I remember being really young and being so angry about that."